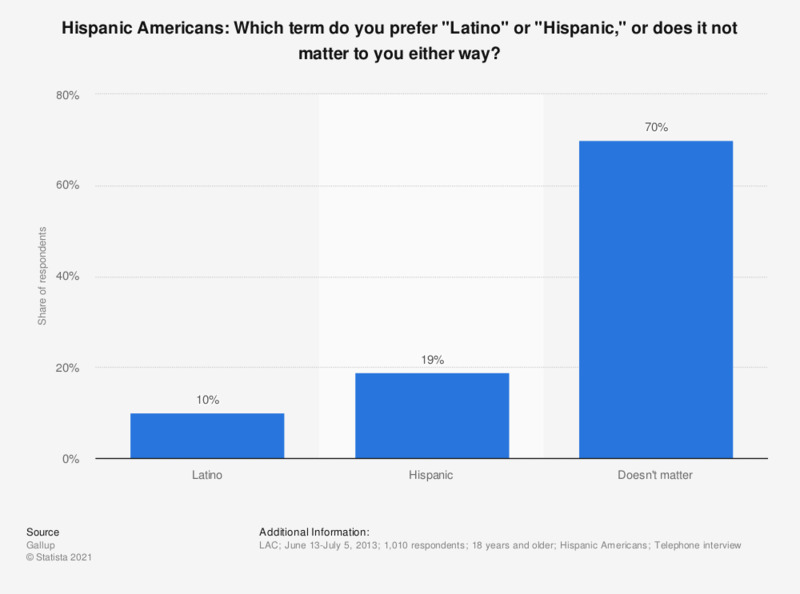 This statistic shows the results of a survey among adult Hispanic Americans conducted in 2013 regarding if they themselves prefer to be labelled as "Latino" or "Hispanic", or if this does not matter to them at all. In 2013, 10 percent of respondents stated they prefer the term "Latino". The source phrase the question as follows: "Some people say the term "Latino" should be used instead of the word "Hispanic." Which term do you prefer -- "Latino" or "Hispanic," or does it not matter to you either way??"